Heart’s future as a band remains unknown following news that the husband of singer Ann Wilson, Dean Wetter, has received a suspended sentence in a Seattle court after assaulting her sister and bandmate Nancy Wilson’s children backstage during a concert in their Seattle hometown last summer. Seattle PI reports Wetter – who plead guilty last month to two counts of fourth-degree assault – was handed a suspended sentence of 364 days in jail, meaning he will not serve any time. His plea agreement includes restitution, two years of probation, counseling and no contact with his nephews. Police and court documents indicate the August 2016 incident at White River Amphitheater began when Nancy’s twin 16-year-old sons asked Wetter if they could check out his and Ann’s new tour bus. Wetter provided access but reportedly became upset when one of the pair left the door open, despite his instructions to keep it closed to prevent the dogs inside from escaping. The 66-year-old physically assaulted one of the twins and, when the second one returned to assist, Wetter grabbed him by the throat to the point where he was unable to breathe; the twins escaped and called 911 for assistance. 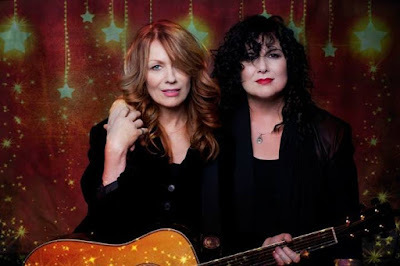 Heart managed to finish the tour, with Nancy telling Rolling Stone earlier this month that it was "excruciating" as the sisters opted for separate dressing rooms for the first time in their 43-year career while only communicating via third parties. The incident led to the band going on hiatus, with Ann heading out on a solo tour and Nancy launching a new project, Roadcase Royale, while Heart’s future remains unknown. "Nancy and I love each other," says Ann. "We want to be friends. My side really hurt her side. Her side really hurt my side. We've got to let those heal and get some counseling."